As winter sets in, it is only natural to look towards warmth. As somebody who has recently had a wood burning stove installed, I am quite keen to try out various options that are available to try. Lekto Wood Fuels recently got in touch, and sent a couple of their options for us to try out. 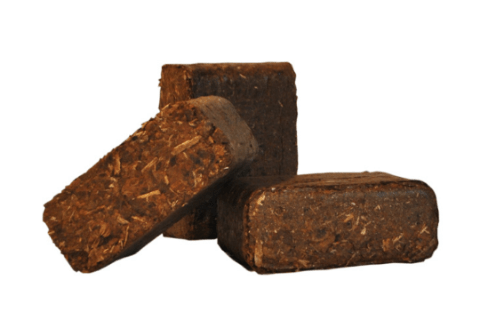 The two options were birch briquettes, which burn hot and fast, giving you plenty of heat, and bark briquettes, which burn slow and low, and are great to keep the heat going for longer. As far as shape goes, these look like cylinders which are about 4 inches in diameter (around 10cm), and are about a foot long. They came in packs of 5, and some of these briquettes were already broken in half within the pack. This isn’t a bad thing, as I explain below. They feel a bit like sawdust on touch, and this is because they have been compressed into this form. Lighting them is pretty much as simple as lighting any other wooden log. You get your kindling going, and once the flames are going, you simply place this on top of your fire, and you’re good to go. After that, you can adjust the air flow to see how long you want to make these last or how hot you want them to burn. Being compressed birch, these actually expand when they burn, so it is advisable to place them in such a way in your wood burning stove or on your fire that any such expansion doesn’t cause any harm or awkward placements. This does mean that the half broken briquettes are actually perfectly adequate for a decent sized 5 kW wood burning stove. Since most households only have that, you should be good with that. It also means that a pack of 5 is actually good for 10 fires/goes. Birch is one of the best woods to burn, as it packs in the cleanest form of energy. This means that when you burn these, they produce very little smoke and ash, and all you get is heat. In our wood burning stove, the temperature rises from a 100 degF to around 600 degF within 10 minutes with these. After that, you can adjust how hot you want it by adjusting your airflow. As just mentioned, they do not produce much ash. What they do produce can actually be used as a fertiliser in your garden! These do burn rather quickly. Half a briquette will last about an hour on high heat, and then will reduce to embers which will last for another hour or so. These are ideal for those cold winters where you have just walked in from the freezing cold and want your house to get warm quickly. These look rather interesting, and are a bit sticky to touch. 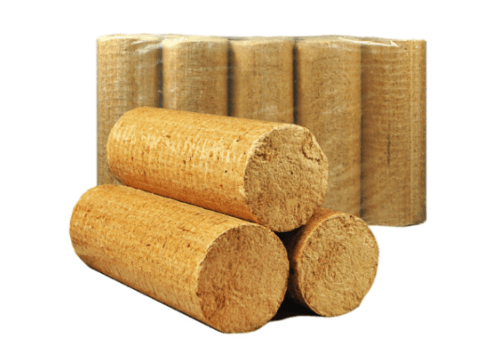 They come in packs of 12, and each briquette is sized at approximately 155mm x 120mm x 70mm and weighs 1 kg. They are made of compressed conifer bark. These are designed for a slow release of heat. These are slightly different from the usual lighting of logs. The recommended method is to get your fire going and when it has turned to ember, place one of these on top. Let it burn and once it starts to glow, reduce the air flow. At this stage, you should get a few good hours, up to 8 of slow and constant heat. These are not really designed for the start of a fire. Rather their role is to be put on the fire when you’re done with your flames, but still want the heat to carry on for a few good hours. You get between 200 – 300 degF with these, assuming you had a good fire going before. The rating says it can last up to 8 hours. I consistently got between 4-6, though at times I was lazy with how I adjusted my air flow. Due to nature of how they burn, it must be noted that these will not replace your regular fuel. These are only to be used after you have had your high heat fire and want the heat to carry on for longer. These are ideal for when you’re heading to bed, or have warmed up and don’t want to keep having to attend the fire. These are simple fire and forget kind of briquettes, which give you a decent flow of heat for a long period of time. More information as well as buying options for both of these can be found on the Lekto Wood Fuels website.